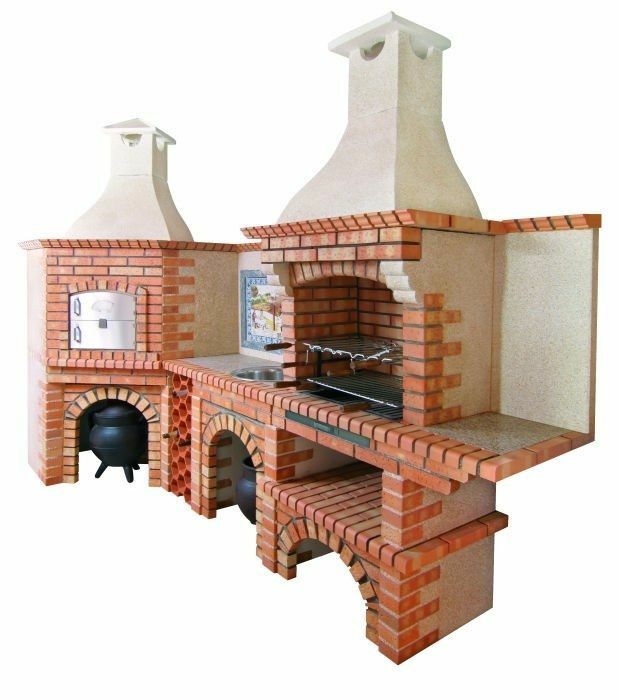 Corner Barbecue with Fired Oven and Sink CE1008B. Free shipping to England, metropolitan France*, Monaco, Belgium, Luxembourg, Italy and Spain. For other destinations please contact us. Slice the chillies very thinly and place in a saucepan with garlic, sugar and vinegar. Bring to the boil, stirring to dissolve sugar. Set aside to cool completely. Slice the cucumber thinly into rounds and slice the carrot and daikon into very thin, long strips. Place in a bowl with the lemon grass, mint, coriander and bean sprouts. Preheat the barbecue or grill plate. Brush the lamb with oil, season with salt and ground black pepper and cook for 2-3 minutes each side (lamb will be very rare). Set aside to rest. Carve the lamb thinly. Divide salad between serving plates, top with sliced lamb and drizzle with remaining dressing.